A new report from China’s National Bureau of Statistics reveals that the country is on track to surpass its carbon emissions targets. In 2015, China’s solar energy capacity increased by a massive 74% over the year before, with a modest gain of 34% in wind. At the same time, China is importing 30% less coal and consuming 3.7% less overall. China originally intended to slash its carbon emissions per GDP unit by an ambitious 40-45% of 2005 levels by the year 2020, but now it’s looking like the final figure will be even higher. As of the end of 2015, China’s wind installations were generating an all-time global record of 32.5 gigawatts, 20.7 of which came online in 2014 alone. Given that a third of the world’s carbon emissions come from China, this is great news for the fight against climate change. The progress China has made in reducing emissions stands in sharp contrast to other nations with a large carbon footprint — in the US, for instance, it’s unclear whether a national climate plan will be able to go forward at all. However, it’s important to note that two-thirds of China’s power still comes from coal, so there’s plenty of progress to be made. Given the two-year dip in coal consumption, many are hoping that China has reached “peak coal,” and that it will continue to decline in use. Please use comparable units and don't mix "GW" with million kilowatts. Furthermore apart from the nameplate capacity the actual produced and consumed amounts of energy are very interesting to know. A full 18% of China's power now comes from sources other than coal. 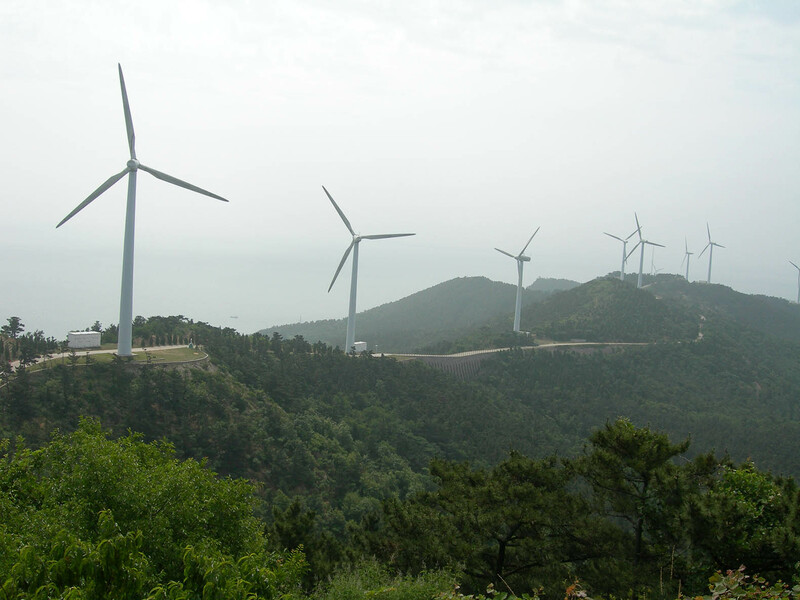 China's wind farms are already providing 32.5 gigawatts of power throughout the country.